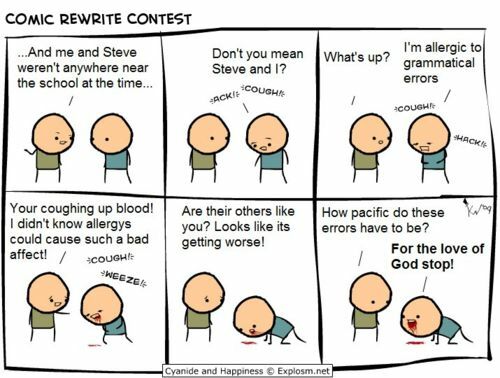 Has the frequent use of improper grammar by people, either spoken or in print, driven you to the point of insanity? Then this cartoon from the Cyanide & Happiness strip is for you. Easily the funniest thing I have seen in a while! !